New and improved! Mini Dollfie Dream sock pattern, now better than before. It includes a small allowance which is sufficient for most stretchy fabrics, test your materials and add more if needed. 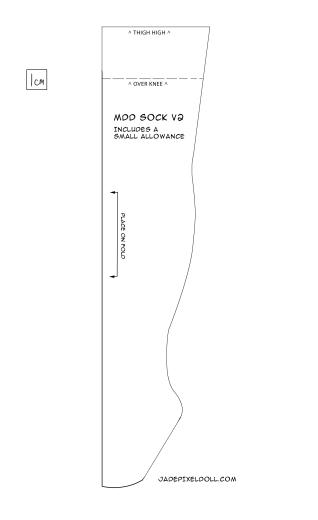 I also noted lengths for a thigh-high and over-knee style sock, assuming you have about 1cm hem at the top.